After the entertainment of Sunday’s Bahrain Grand Prix, the ten Formula 1 teams return to the Sakhir International Circuit for two days of testing this Tuesday and Wednesday, with many looking to find answers and solutions to problems faced last weekend. However, there are other subplots set to take place, with the testing debut for Mick Schumacher and a Formula 1 return – of sorts – for Fernando Alonso. Mercedes-AMG Motorsport have won both of the opening two races, Valtteri Bottas winning in Australia before Lewis Hamilton took the honours last weekend in Bahrain, but it is only the latter who will be testing this week, the reigning World Champion driving on the opening day before he hands over the car to test driver and current Williams Racing driver George Russell. Scuderia Ferrari should have won in Bahrain but for Charles Leclerc’s late engine issue, but the Monegasque racer won’t be a part of testing this week. Instead, the duties on Tuesday lie in the hands of the son of a seven-time World Champion in Mick Schumacher, while Sebastian Vettel will drive on Wednesday. Red Bull Racing also share their duties between a race driver and a test driver, with Max Verstappen driving the RB15 on Tuesday before Red Bull Junior Team driver Daniel Ticktum gets his first chance of testing a modern-day Formula 1 car on Wednesday. The Renault F1 Team will go into the testing with a sour taste in their mouths after a late double retirement on Sunday whilst both Nico Hülkenberg and Daniel Ricciardo ran inside the points, but it will only be the latter who will drive in the test, the Australian running on Tuesday before Jack Aitken takes over on Wednesday. Another team doing the race driver/test driver routine is the Haas F1 Team, who will run Romain Grosjean on Tuesday and Pietro Fittipaldi on Wednesday, while the McLaren F1 Team go against the grain, running both of their race drivers on Tuesday before Lando Norris takes sole duties on Wednesday. 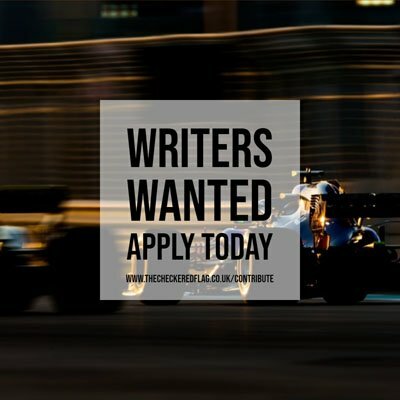 Williams Racing will split their Tuesday running between George Russell and Robert Kubica before test driver Nicholas Latifi finally gets his first opportunity in the FW42 having given up testing chances during pre-season testing thanks to the car arriving late. Racing Point F1 Team will run Lance Stroll on Tuesday and Sergio Pérez on Wednesday, while Alfa Romeo Racing will test with Mick Schumacher switching from Ferrari, although it is not clear who will run on Tuesday. Alexander Albon will be Scuderia Toro Rosso’s sole representative on both days. Pirelli Motorsport are also running with two teams, McLaren and Toro Rosso, with Fernando Alonso making a testing return with the former for Tuesday and Wednesday afternoon. Carlos Sainz Jr. will run the Pirelli test on Wednesday morning before handing the car back to his fellow Spaniard, while Daniil Kvyat will run in the Toro Rosso on both days.